Hooked Guide Service offers one of the most personal fishing experiences you will ever encounter. Established in 2011, but bringing 30+ years of fishing experience, Chris Bosse of Hooked will show you what it takes to get YOU Hooked! On the water for more then 200 days a year, he knows where and how to catch fish. His personal demenor and fun life loving attitude create an a atmosphere that rivals most professional athletic events. Get Hooked up with Hooked Guide Service. Other then fishing in one of many lakes, rivers and tributaries of Lake Michigan, Pentwater, Silver Lake, Ludington and the surrounding areas have plenty of festivals, parades, events and activities to keep the entire family busy through the year. Listed below are a few links to help discover what events will occur during your stay in the area. 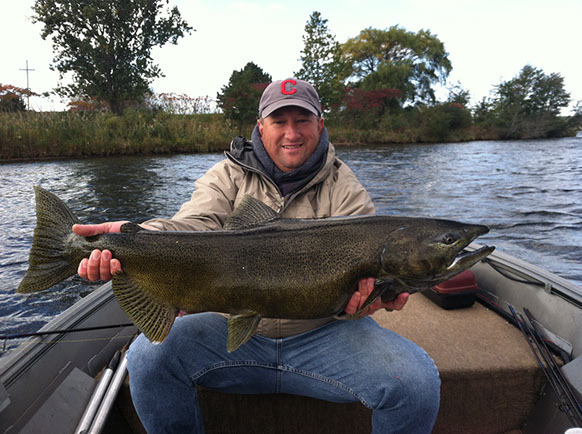 Schedule a fishing trip or two while enjoying the local activities is a great way to take in all of what West Michigan has to offer.